The Electric Utility Restructuring Legislative Oversight Committee was created by Senate Bill 7 during the 76th Legislature. The committee is charged with overseeing the implementation of SB 7, the electric utility restructuring bill, and monitoring its effectiveness. Under SB 7, the electric utility market will be opened to competition by January 2002. 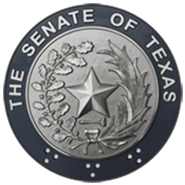 The joint committee includes five members of the Texas Senate, appointed by the lieutenant governor, and five members of the Texas House of Representatives, appointed by the speaker. The committee is chaired by Sen. David Sibley and Rep. Steve Wolens, authors of SB 7.